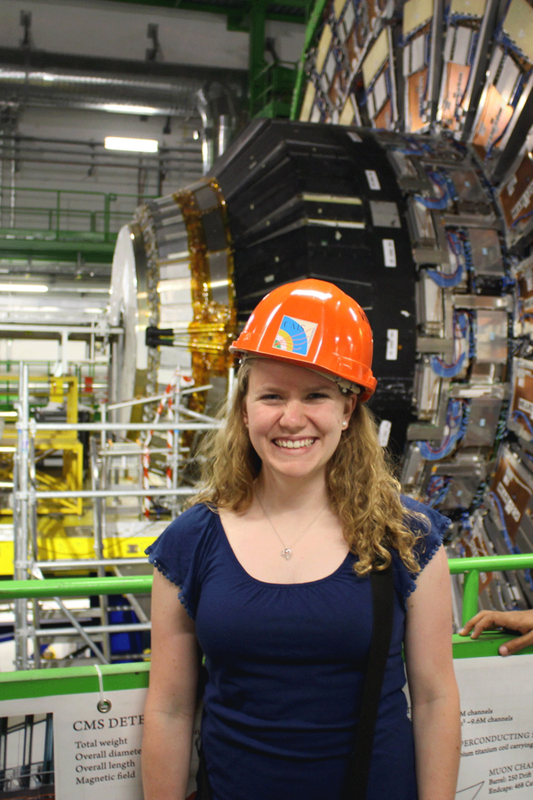 Notre Dame physics graduate student Allison Reinsvold Hall was been selected to attend the 66th Lindau Nobel Laureate Meeting, an opportunity for young researchers and Nobel laureates to inform and inspire each other. The annual meetings are held on the island town of Lindau, on Lake Constance in southeastern Germany. They focus alternately on chemistry, physics, and physiology, and began in 1951 with a meeting of seven laureates and around 400 physicians. Its attendees include 400 young scientists from 80 countries and 29 laureates from years ranging from 1973 to 2015. Laureates are invited to lecture and lead discussions on topics of their choosing, with themes ranging from the retrospective to the speculative. Reinsvold Hall is advised by Prof. Michael Hildreth and is studying experimental particle physics using the Compact Muon Solenoid (CMS) experiment at the Large Hadron Collider (LHC) outside of Geneva, Switzerland. She wrote about her experience at “Search for SUSY,” which is posted Lindau Nobel meeting website. Originally published by Shelly Goethals at physics.nd.edu on June 29, 2016.